Shandong Xinghan Material Corporation Co.,Ltd. 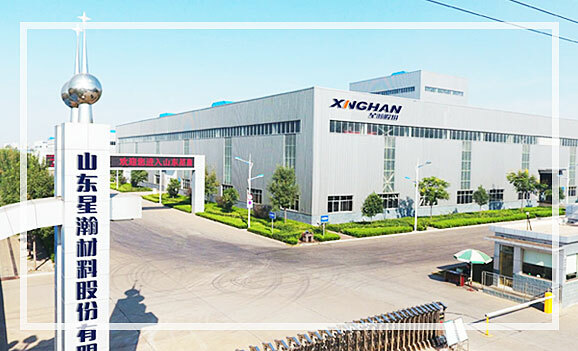 Welcome to Shandong Xinghan Material Corporation Co.,Ltd. Shandong Taiyue Metal Technology Co.,Ltd. Shandong Zhucheng Import Export Co.,Ltd. Guan Xian Zhongtai Logistics Co.,Ltd. Guanxian Zhong Tai Fuel Co., Ltd. It is a comprehensive enterprise integrating production, processing, distribution and trade of coating products. It is also a leading enterprise of high-strength and ultra-thin series steel plates in the country, and is a key export-oriented foreign exchange enterprise of the province and the city. Shandong Xinghan Material Corporation(Primitive name : Shandong Zhongguan Steel Plate Co.,Ltd.) was established in March 2006, with a registered capital of RMB 150 Million, a stuff over 1500, a Property/ Plant and Equipment of RMB 3 billion,covers an area over 600 mu.It has passed the standards of international quality management system, Energy management system and occupation health and safety management system. Now it has been a leading export company in the province, with a annual output value of RMB 6 million and profit taxes more than RMB 100 million yuan. At present, there are five companies including Shandong Taiyue Metal Technology Co., Ltd., Guanxian Ren Ze composite material Co., Ltd., Shandong Zhucheng Import & Export Co., Ltd., Guanxian Zhongtai Logistics Co., Ltd. and Guanxian Zhongtai Fuel Co., Ltd.
Shandong Taiyue Metal Technology Co.,Ltd. is a new galvanized steel enterprise funded by Shandong Sparkhorn Materials Limited By Share Ltd. It was established on August 14, 2012, with registered address at West Side of A2 Road, Industrial Park, Guan County, Liaocheng. It was established on April 20, 2015, with registered capital of 10 million yuan and land area of 6,000m2. Now it has two factories and 15 main production lines, and its production capacity is in the leading position in the industry. It is the leading enterprise in the field of ultra-thin high-strength hot-dip galvanized steel sheets and hot-dip aluminum-zinc-silicon steel sheets. It is a comprehensive enterprise integrating production, processing, distribution and trade of coating products. It is also a leading enterprise of high-strength and ultra-thin series steel plates in the country. It belongs to provincial and municipal key export-oriented foreign exchange enterprises. Warmly congratulate the Shandong Zhong Guan Steel Co., Ltd. won the title of Guanxian "Meritorious Enterprise"